TL; DR: The Association for Computing Machinery (ACM) has existed since the dawn of computing with the overarching mission of promoting advances in computer science. By offering their members access to state-of-the-art research from numerous types of publications, including books, magazines, journals, and newsletters, ACM fosters an environment of collaboration and knowledge-sharing to work toward shaping the future of the IT field. ACM’s prestigious awards program is the association’s way of giving back and recognizing those who have established themselves as pioneers in emerging technology or contributed tirelessly to the organization’s overall mission. ACM sees a world “where computing helps solve tomorrow’s problems” and their awardees and members work to make that world a reality. Manuela M. Veloso is head of the Machine Learning Department and a professor in the school of Computer Science at Carnegie Mellon University. She’s widely recognized as an expert in artificial intelligence (AI) and robotics. Together with her students, Manuela has developed a variety of autonomous robots, including mobile service machines and teams of robots that play sports. In fact, her RoboCup soccer teams have won world championships on numerous occasions. For her advancements in machine learning, Manuela was recently named a fellow of the Association for Computer Machinery (ACM), an organization that aims to advance computer science as a profession. She’s now one of the many leaders in the organization who serve to strengthen the collective voice of computer science professionals by promoting only the highest standards and recognizing technical excellence. The Association for Computing Machinery operates with the goal of advancing computing as a science and profession. For more than half a century, ACM has been recognizing pioneers like Manuela for their contributions to computer science. Their most distinguished accolade, the A.M. Turing Award, carries with it $1 million in funding and is known throughout the industry for honoring individuals who have made enduring contributions to their fields. To further their dedication to the computer science community, ACM also offers members access to a publications program that cultivates collaboration between professionals and educators and lends to the overall mission of promoting advances in information technology. In 1947, ACM was founded at a meeting at Columbia University as the Eastern Association for Computing Machinery in response to growing interest in computer science. The purpose of the organization, according to the original meeting notice, was to “advance the science, development, construction, and application of the new machinery for computing, reasoning, and other handling of information.” By 1948, due to growing interest from the early computing community, the organization dropped Eastern from their name to avoid limiting themselves geographically. The group’s constitution positions ACM as an “international scientific and educational organization dedicated to advancing the art, science, engineering, and application of information technology.” ACM realizes this by operating with the aim of open dissemination of information and holding members to the highest professional and ethical principles. ACM’s forward-thinking, innovative members work together to drive positive change in computer science. Originally, membership was open to all parties interested in the organization’s mission. That changed in 1966 when ACM adopted graded memberships. Students whose studies support the ACM mission are eligible to become Student Members of the ACM. Professional Membership is available to individuals holding a bachelor’s degree in a tech-related field or to those with at least two years of full-time employment experience in IT. Senior Membership is open to professionals who have at least 10 years experience in the IT field and have maintained a minimum of five years continuous membership in ACM. The Distinguished Membership tier of the association consists of professionals with five years of continuous membership and 15 years experience in computing. ACM Fellows hold the most valued membership status, as they are recognized as having demonstrated outstanding accomplishments in computer science. These members reflect the core mission the ACM has not strayed from since their inception — to drive positive change in and advance computing as a science and profession. In mid-2016, ACM announced the recipients of their 2015 awards. Some of the most coveted and honorable awards included the renowned Turing Award, the Prize in Computing, and the Distinguished Service Award. The accomplishments of these awardees are impressive and will impact computer science for years to come. In 2015, Whitfield Diffie and Martin E. Hellman won the prestigious A.M. Turing Award for their ground-breaking 1976 paper, “New Directions in Cryptography.” That research introduced the idea public-key cryptography and digital signatures, which are the foundations for many secure systems to this day. Whitfield Diffie and Martin E. Hellman took the 2015 Turing Award for their groundbreaking work in cryptography. It is this kind of forward thinking and innovation that warrants receiving a renowned honor such as the Turing Award. The ability to anticipate technologies not only relevant but essential more than 40 years into the future is no small feat. Diffie and Martin pioneered cryptology and laid the groundwork for modern encryption technologies. The most recent award for Prize in Computing went to Stefan Savage for his research in network security and privacy. Savage explained IT professionals should view both attacks and attackers as part of an integrated technological and societal ecosystem. He applied those principles in his efforts to combat spam. 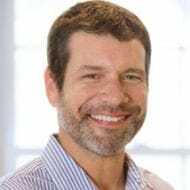 Stefan Savage won the ACM Prize in Computing for his research in network security and privacy. Savage recognized modern approaches to dealing with threats were akin to treating symptoms of a disease rather than looking at underlying causes. He was awarded the Prize in Computing for seeing a bigger picture — one that includes cultural and economic structures rather than only the technological. In 2015, the award for Distinguished Service went to Professor Ron Perrott. He earned the recognition for being an effective advocate for parallel and grid computing in Europe since the 1970s. ACM’s 2015 Distinguished Service Award went to Ron Perrott for his advocacy work in parallel and grid computing. Perrott also led the development of programs to drive an increase in international participation at computing science conferences. He is an excellent candidate for the Distinguished Service Award, as his contributions foster the same philosophy of collaboration and advancement as the core mission of the ACM. ACM offers a variety of publications to showcase the latest research, announce recent discoveries, provide practical solutions, and report on current events. Because of the ACM’s reputation and forward-thinking philosophy, they attract the best and brightest from around the industry to contribute to their publications program. The articles published in ACM’s journals are peer-reviewed and feature cutting-edge research. The association publishes conference proceedings, which gives members a glimpse into the work currently being done by IT educators and professionals. ACM also publishes magazines, books, and newsletters in both print and electronic formats. These publications have a wide reach and cover multiple disciplines in the information technology field. ACM’s digital library acts as a storehouse for full-text articles and literature covering the computer science industry. ACM’s publications program encourages experts from various IT disciplines to contribute to their vast knowledge bank. As another way to lure experts to publish with the association, ACM’s flexible author rights policy allows authors to choose from a range of rights options. This way, some authors can post on their own blogs and distribute their work to other channels. ACM doesn’t restrict the free flow of information out of a self-interest policy to own groundbreaking research. As Arthur C. Clarke once observed, “Any sufficiently advanced technology would be indistinguishable from magic.” In a sense, ACM’s members and awardees are charged with making this magic a reality through continued innovation in their fields. ACM exists to promote advances in information technology. That’s why people like Manuela Veloso are so important to the program. Now that Google is making AI a key part of their core offerings, she can bring her expertise on machine learning to the organization. The appearance of IBM Watson on Jeopardy! 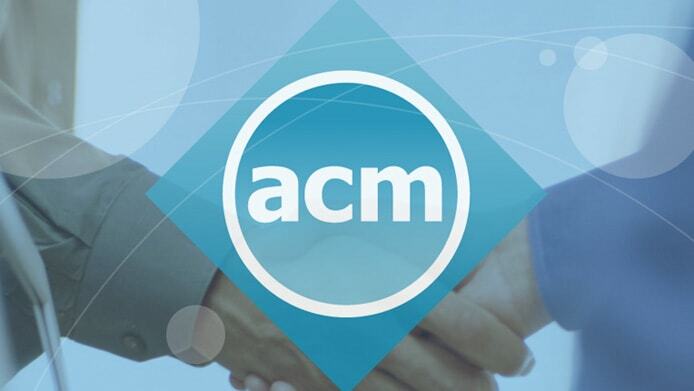 Those advances are now a part of history and add to the growing list of how ACM and their members use computing to help solve tomorrow’s problems.